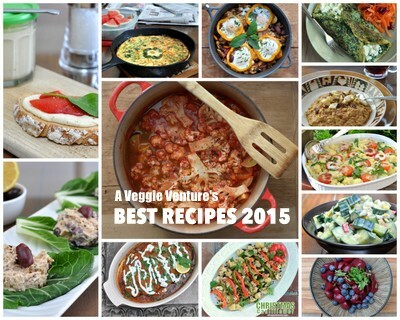 A Veggie Venture's Best Recipes from 2015, just one per month, all in one handy spot for easy reference, all "everyday vegetable recipes" to make again and again. I'm going out on a limb this year. For the first time ever, A Veggie Venture's "Best Recipes" of 2015 are not the most clicked, pinned, shared or even the most liked recipes. Forget popularity. I'm standing up usefulness! So this collection of recipes are the most every-day recipes, special in their very every-day-ness, recipes destined to be made and remade so often they'll fast lose recipe status and become "just a little something you whipped up." Truth is? I've personally made all but two of these recipes more than once, three many times, seven of the twelve many-many-many times. And I wasn't "recipe testing". I was just putting breakfast on the table. Or making lunch. Or a salad. In my kitchen? Those are the best recipes of all, the ones you pull out every day for breakfast, lunch and dinner, the Best Everyday Vegetable Recipes. I hope one or two or three or even more will find a home in your kitchen too. Anddddd ... because social media is oh-so-fun, I've already added each of these recipes to a Pinterest board called My Best Recipes – extra-easy for re-pinning! I will add recipes from prior years too, way back to 2002! So okay, here you go, the Best Recipes of 2015. Which ones have your name on them? Let everyone know in the comments! 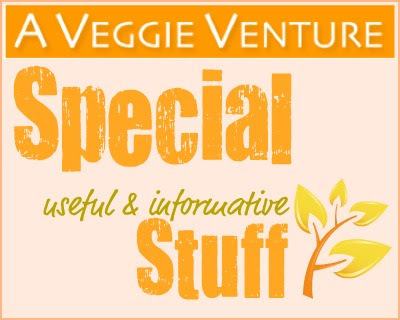 SPECIAL, USEFUL & INFORMATIVE "STUFF"
But before we get to those best everyday vegetable recipes, I'd like to highlight a few posts that are more than "just another recipe". Who'd like more of these in 2016? I would! It's too easy to grab a cup of coffee and a muffin or a banana on the run. But making time for breakfast, well, the payback is huge. This year, I made breakfast a priority, especially a protein-packed breakfast. With vegetables! This spinach omelet works with fresh spinach or thawed frozen spinach. Breakfast never tasted so good! I'm always on the hunt for quick, healthy, low-calorie, low-carb make-ahead lunches. Protein is a real priority, so is a healthy vegetable. Enter the tuna salad that for a year now, has captured my heart, one lunch after another. It's got olives, people! CRAY-ZEE, I KNOW, BUT CABBAGE CAN BE SO GOOD! Cabbage is cheap to buy and so good to eat. If mayo-slathered coleslaw is your only experience with cabbage so far, this cooked cabbage will be a revelation. It takes on a gentle, natural sweetness that's completely captivating. Afghanistan is always in the news but never for food. Afghan cuisine needs to be celebrated! This eggplant dish blew me away. Great for Meatless Monday. Yep, that's more vegetables for breakfast. Is that part of your own routine? We do our very best to work vegetables into breakfast every single day. Y'think they'd be good with Fruit Loops? Some times the simplest of recipes produce the most special results. This is another salad I made all summer long, oh how the blueberries "pop" with pickled beets! They don't call me the Beet Queen for nothin'! This is my very first TwitteRecipe, so simple, it takes only 140 characters. And only a small amount of cheese, though you'd never know it, it's so cheesy. If you could buy a red car for $15,000 and a green car for $5,000, really now, wouldn't you be happy as a bug on a green leaf in a green car? I thought so. Well that's why it pays to fall in love with green peppers for $.50, leaving their shiny-bright expensive red cousins in the grocery at $1.50. And when treated right – like in this silky smooth frittata that's an adaptation of this master recipe, Never-the-Same-Twice Vegetable Frittata – wow, you may never be tempted to go red again. Umm okay so there's a theme going on here, more breakfast food! I adore the texture of my Almost-Chewy Creamy Oatmeal, this is an October-November-ish variation, pumpkin and the all-important pumpkin spices and for natural sweetness, mashed banana. WHAT THE HECK IS THIS STUFF? EXCEPT DELICIOUS. It's half chickpea hummus and half eggplant baba ganoush. It's an ultra smooth spread, great for dipping or spreading. It's got a Middle-eastern feel. It's amazing. If only I knew what it was ... except delicious. What do you think?! I hope you like the collection because it belongs to you now, it's yours for everyday. If I missed a favorite recipe of yours, please do let me know! And if you'd like to explore the favorite recipes from other years, here are all the links.